Dressed in traditional kimonos, members of Nihon Kwantlen Kurabu, otherwise known as Kwantlen’s Japanese Club, participated in International Education Week, with tables dedicated to Japanese calligraphy and origami, on Nov. 18. 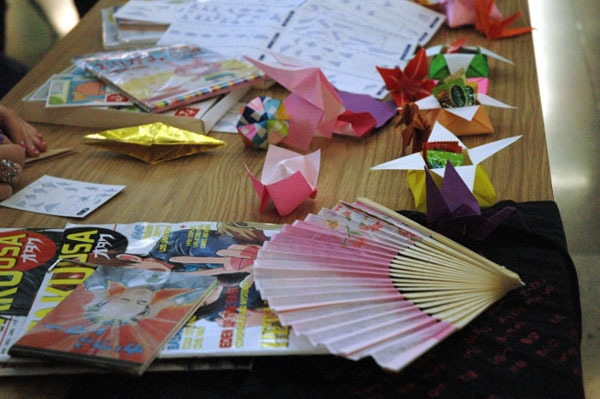 Jassneal Dass, the Japanese club’s intercampus liaison, joined Nina Ramsay and other Japanese club students in creating origami. “Personally, I’ve always had interest for [Japanese culture],” Dass said. “It started with video games first. Then anime on TV. Then I started learning more about the culture and it just became more interesting. Dass admitted that Japanese calligraphy was challenging at first, but after writing out the characters hundreds of times, he has mastered the art. He still, however, has yet to ace origami. 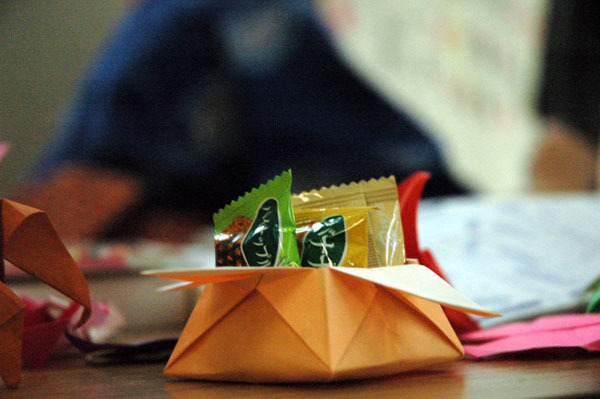 The traditional Japanese art of paper folding is a traditional art form that dates back to the 17th century, according to House of Japan. 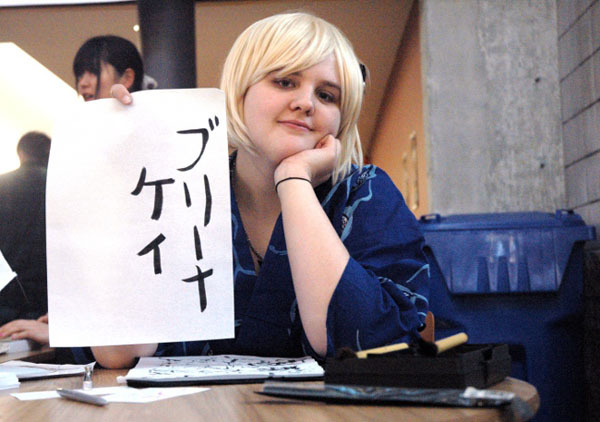 She encourages people who are interested in Japanese culture to take a Japanese language class at Kwantlen. 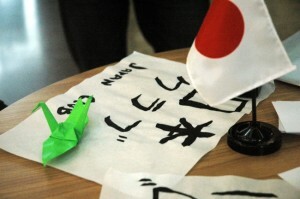 The Japanese Club meets at both the Surrey and Richmond campuses. It delves into Japanese culture, anime and manga, as well as Japanese history and cuisine. Meeting are held in Richmond on Tuesdays at 1 p.m. in room 1815 and in Surrey on Thursdays at 1 p.m. in room D326, Fir building. For more information, visit the Japanese club’s Facebook page. Breena Kaye poses with her name written in Japanese calligraphy on Nov. 18 for International Education Week.